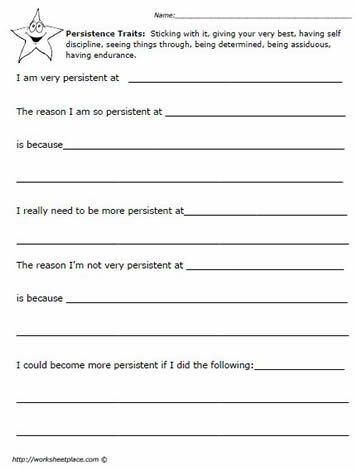 A worksheet focusing on how to become more persistent. Persistence is a great lifelong skill that will help individuals throughout their lives. Persistence take time, patience and a stick with it attitude. Persistence is not a skill that can be taught but it is something we can help children learn and develop strategies for. Have students work on the various persistence worksheets which support achievement.